The Corn Maze and Fall Festival is closed. 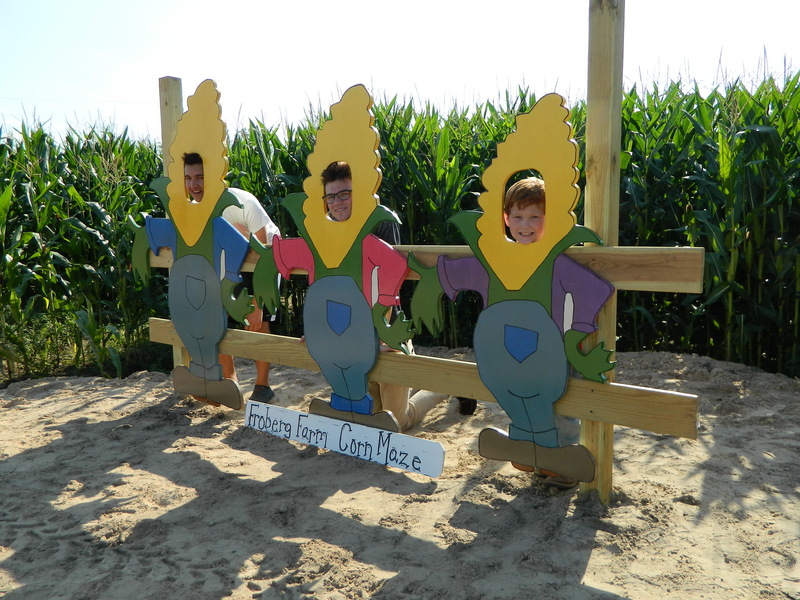 Join us for the Corn Maze, Plastic Duck Race, Berry Fun Land, Mining Sluice during the week . Night time Corn Maze,Corn Cannon, Friendly Fire, Mining Sluice, Lighted Hay Ride, Fire Pits.Last tickets sold at 8:30 pm. Join us for our Sixth Annual Corn Maze and Fall Festival! Test your luck trying to find a way through our strategic Corn Maze, then walk out to our Flower Garden and pick flowers for your loved ones! Plus, each one of our attractions offers unique photo opportunities! Or try any of our other famous Fall Festival attractions! These include: Plastic Duck Races, Bean Bag Toss, Planting Booth, Face Painting, Glitter Tattoos, Basket Toss, and Pony Hops, Corn Cannon, Friendly Fire, and Bee Coaster. At the Corn Cannon, enjoy shooting our emoji targets with real ears of corn. Friendly Fire is a safe way for you to shoot at each other with nerf balls. Our Bee Coaster is like a rollercoaster without all the danger! A tractor pulls the “bee barrels” around a big oak tree and is fun for all ages. All of these attractions will be ready for our customers every weekend beginning September 29, 2018 and will end November 4, 2018. New this year is our Berry Fun Land, which is a playground built by the Froberg family for any children who want to play at the farm. Berry Fun Land includes swings, a Berry Glider, Fort Berry, and the Corn Box! We also have the new Mining Sluice (from Froberg’s Mining Co.), which is a water tower which releases water down a trough (chute), allowing you to sift through dirt which you may uncover to reveal treasures! Just like the gold miners of old! Last but not least, we have our Indoor Pumpkin Patch where there is a wide variety of pumpkins for purchase. Also, enjoy our night-time family maze no spooks or haunting, just good family fun! Friday and Saturday evenings 6 pm to 10 pm. Last wristband sold at 8:30. The Corn Maze, Mining Sluice, Berry Fun Land, Duck Races, and Flower Picking are also open during the week from 9 am to 5 pm. All the attractions are weather-permitting so be sure to check with us if the weather is favorable. 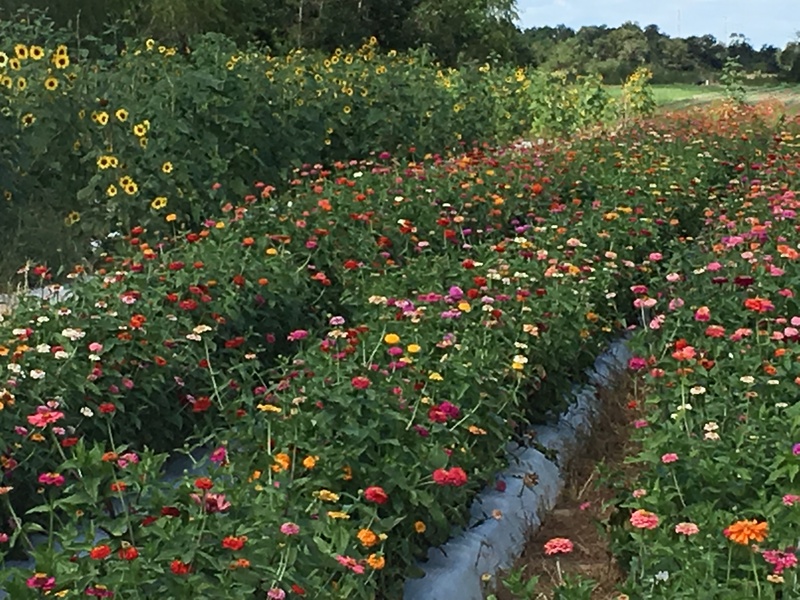 Don’t miss out on all the Fall Fun that Froberg’s Farm has to offer! Enjoy our Corn Maze with all our listed activities 9 am – 5 pm. Get in touch with nature as you learn a little history about Froberg's Farm on our tractor drawn Hay Ride. 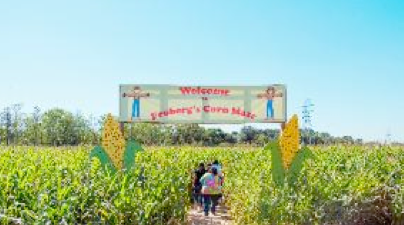 As you walk through the Corn Maze you will experience the depths of our vast fields and only you can find your way out. Capture the view of the Fall with Family and Friends. And be on the lookout for all photo opportunities throughout the Farm. It's all about the race to the finish as you pump the duck down the stream to the finish line. And the duck is yours to keep. Bouncy fun for all ages! Children will have the opportunity to giddy up and parents are welcome to join in on the fun too. Feel the thrill of being on a rollercoaster without all the danger! A tractor pulls the "bee barrels" around a big oak tree and is fun for all ages. Don't miss out on taking your very own plant home! We will show you how to plant a strawberry plant and with proper care, you will watch it grow and bloom. Mining Sluice, is a water tower which releases water down a trough (chute), allowing you to sift through items which you may uncover from dirt to reveal treasures! Just like the gold miners of old!